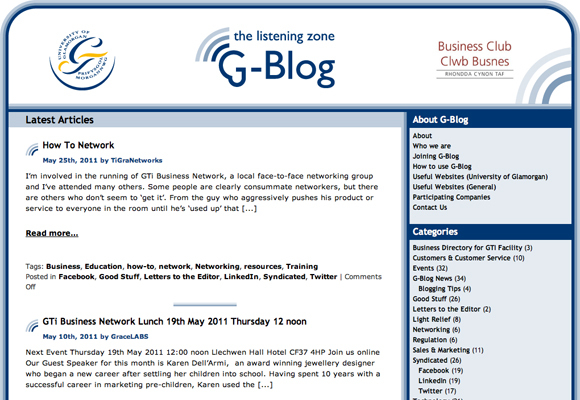 Run by the University of Glamorgan’s business incubation facilty (GTi) G-Blog was set up to provide links between entrepreneurs and academics. 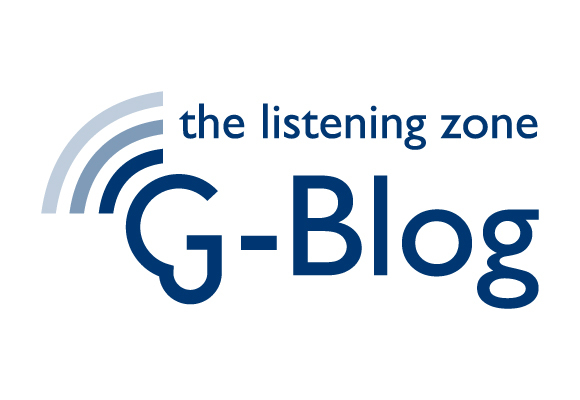 Funded by the Joint Information Services Committee (JISC) Business and Community Engagement, Collaborative Tools Programme, G-Blog gives local businesses access to University of Glamorgan expertise. In addition to designing the logo for the project, GTi also asked me design and build the website. Following a consultation period to ascertain GTi’s needs for the project, WordPress was chosen as the most appropriate CMS solution.